And yet most of us end up going for the first option (i.e. Private Shippers) instead of our government's own courier service. Most of us have an impression that visit to government offices is full of hassles - that even a small thing such as posting a letter would take lots of physical and mental energy - not to mention the bribes and forms and getting sent from desk to desk. Well the truth is totally different altogether. There are proper procedures for getting any work done at a government office. Everything is well documented - only thing is that either most information is not available online or if it is, then its outdated/not organized properly. And since we don't know where else to get that information, we inevitably try to ease our lives by paying agents or avoiding government services altogether. You can also submit Right To Information requests at this post office. They handle 11,000 articles of post every month. They are open till 13:00 everyday. If you visit before this time, your work would be definitely done. You can open savings accounts at post offices too! There are lots of general instructions/procedures made available on the website above. 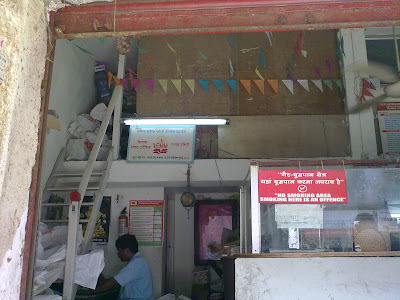 If you havent used post office's services before, please do have a look at their website. 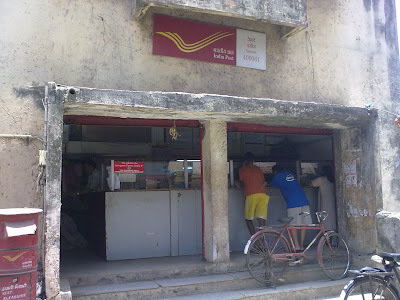 Of all the government websites, IndiaPost's seems to be the most informative: there is information about philately, saving accounts opening instructions & forms, speedpost price calculator, package tracking and documents describing the various general operating procedures of Post Offices across India. So I hope this information helps anyone looking for it. Please do not hesitate to use our government's postage services. Once you get used to using them (which happens quite easily and quickly), you can reap the benefits by saving lots of money! PPS: The page at: http://www.india.gov.in/howdo/index.php describes the instructions a citizen needs to follow to get any particular work done (e.g. apply for PAN card/ Passport). Maybe I was wrong. All info IS available online - we are just too lazy to look it up!!! !